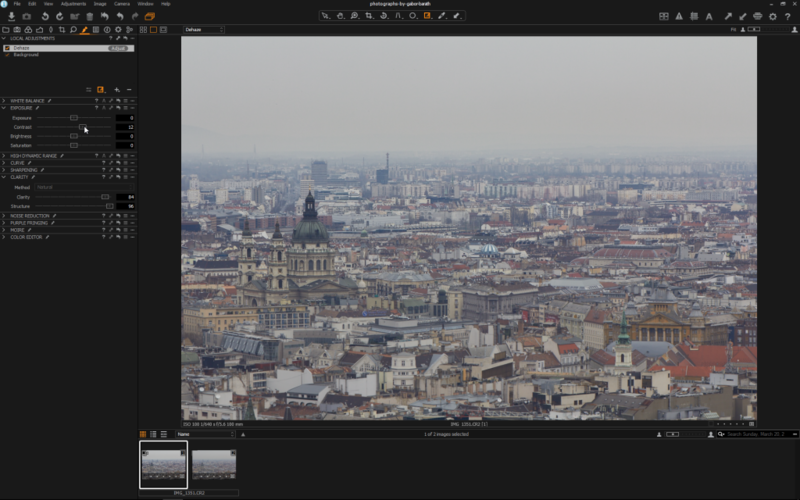 Lightroom has a special Dehaze slider for removing fog for from your image. Capture One has no such thing, but you can clear your hazy view by increasing Contrast, Clarity and Structure. I’m gonna show you now, how easy it is. Go to Local Adjustment tool set by clicking the brush icon over the tool sets. We want more prominent effect on the top of the picture where the photo is more blurry and less on the bottom what was closer to us. So, hit G what selects the Gradient Mask tool, create a gradient mask from top to bottom. 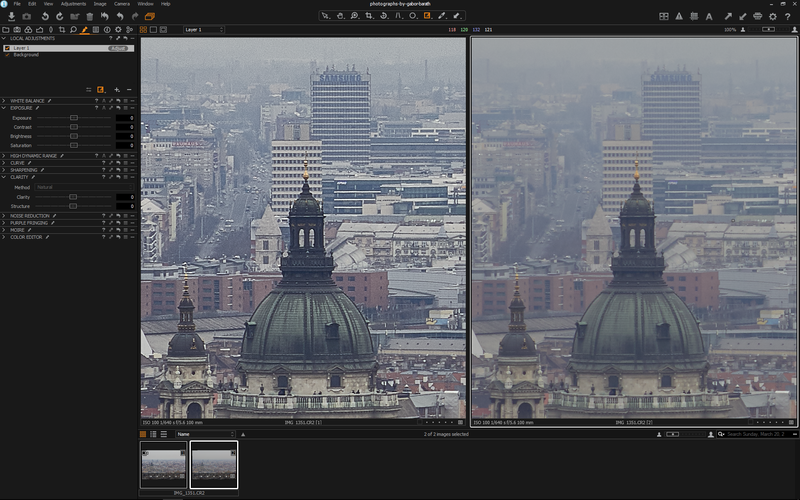 Crank up the Clarity and Structure sliders and increase the Contrast a bit, too. Now, we are ready and have a clear view of our scene.